A member of the ERPAT fathers group reviews information about local conditions following Typhoon Henry. Families in Marikina City, served by our Manila program, seek refuge in a local storm shelter along with others from their community. This photo of flooding caused by Typhoon Henry in the Philippines was taken by the mother of sponsored child. 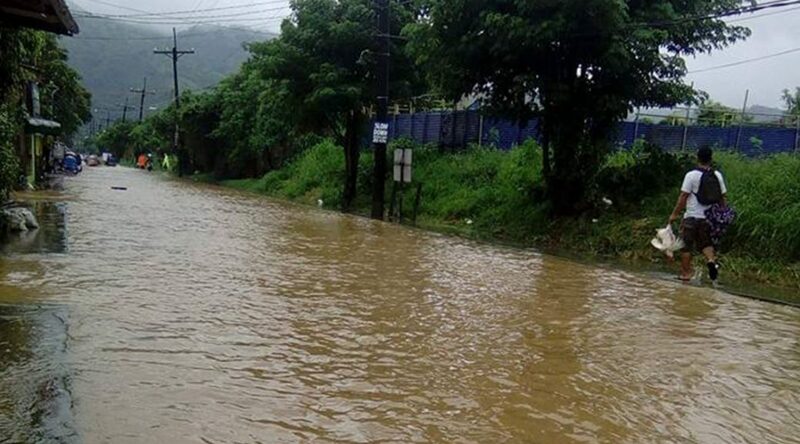 Typhoon Henry caused severe flooding as it approached the Philippines on July 17, causing 29 families served by Unbound’s Antipolo program to seek refuge at evacuation shelters. Knee-deep waters have been reported in the area, and some homes of sponsored families have significant water and mud damage. The Unbound ERPAT Disaster and Management Team, mothers groups and local staff served porridge to sponsored families and other evacuees at one evacuation site. The ERPAT, a federation of fathers who participate in the Unbound program, is following the situation closely and is standing by to assist sponsored families if their situations worsen. In times of natural disasters and other emergencies, Unbound will notify sponsors directly if we learn that their sponsored friends have been injured or otherwise seriously affected. We will continue to provide updates on the situation as we receive information from the Philippines. Unbound serves more than 46,000 children, youth and elders in the Philippines.